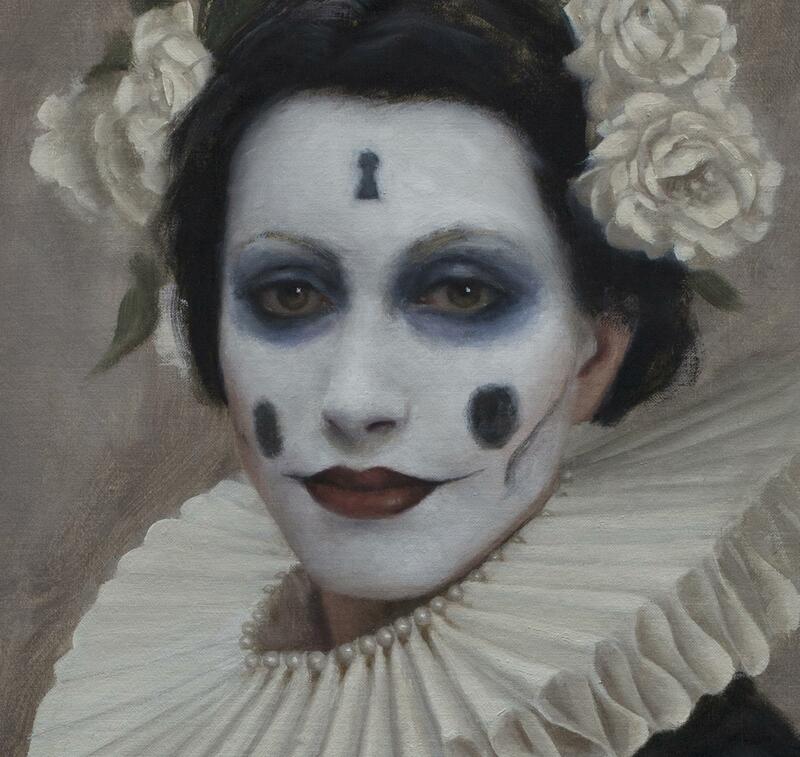 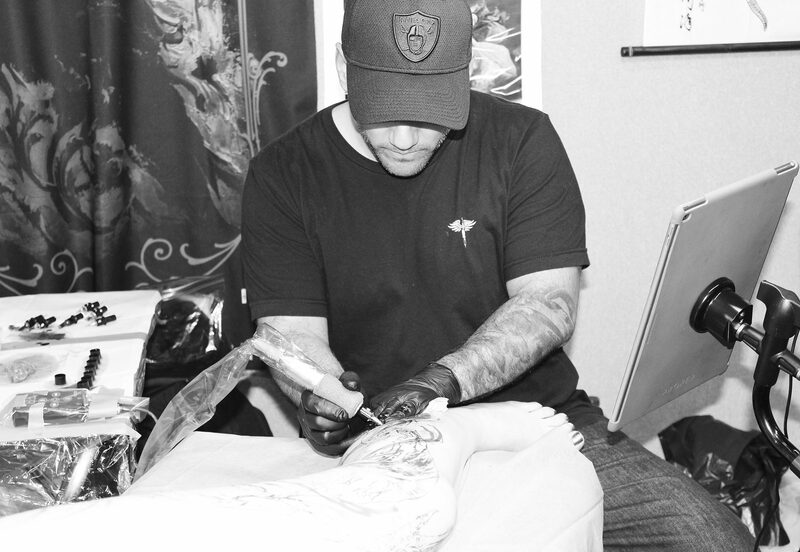 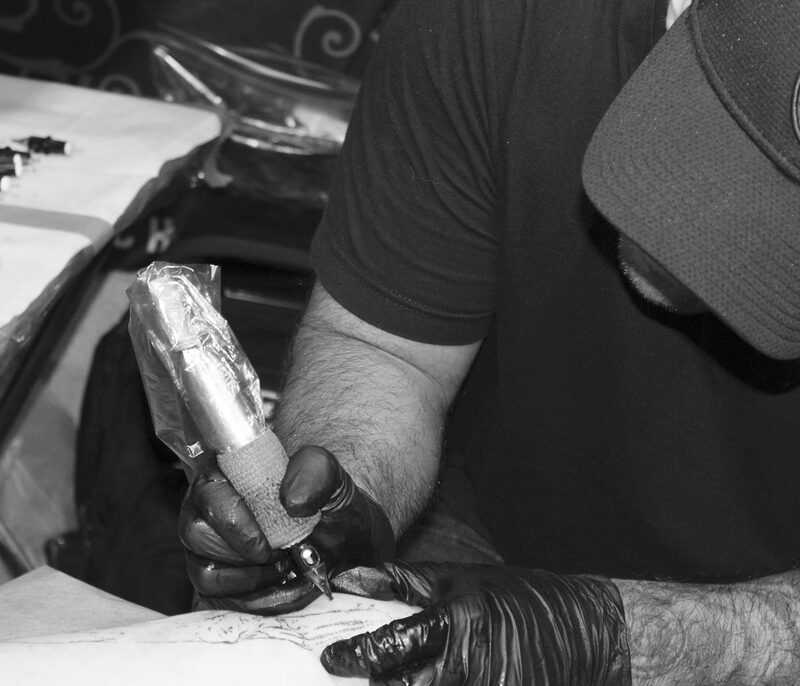 While setting up his new studio in 2017 named The Raven and The Wolves in Long Beach, California, Carlos Torres was also attending the London Tattoo Convention—where we met up with him for an interview. 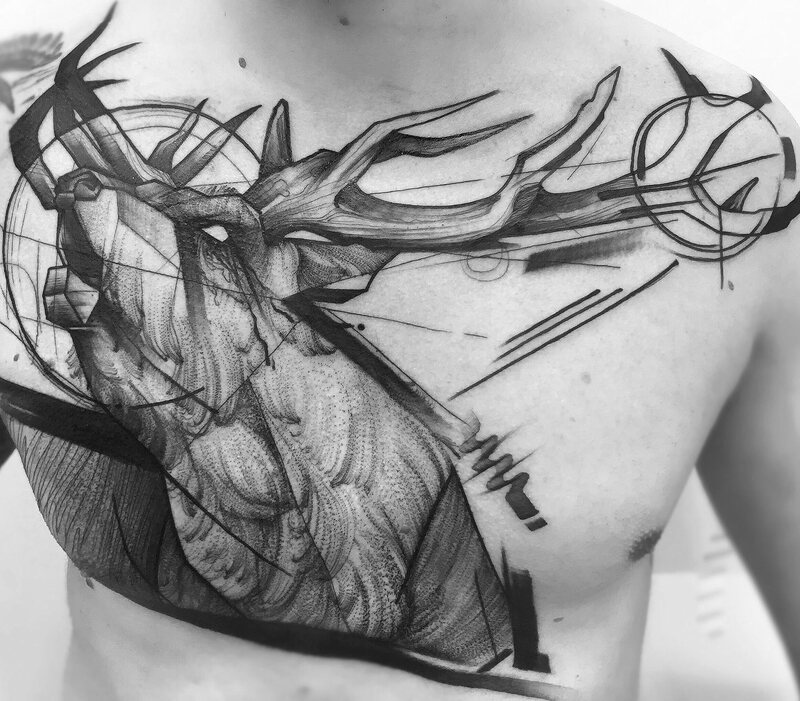 He worked three days straight on a massive Norse god tattoo in his typical black and grey inks on client Jo Crow. 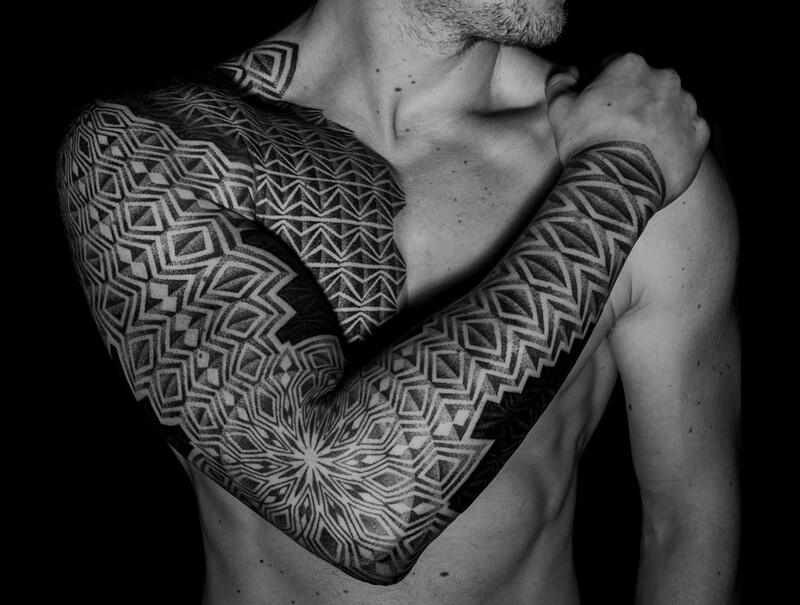 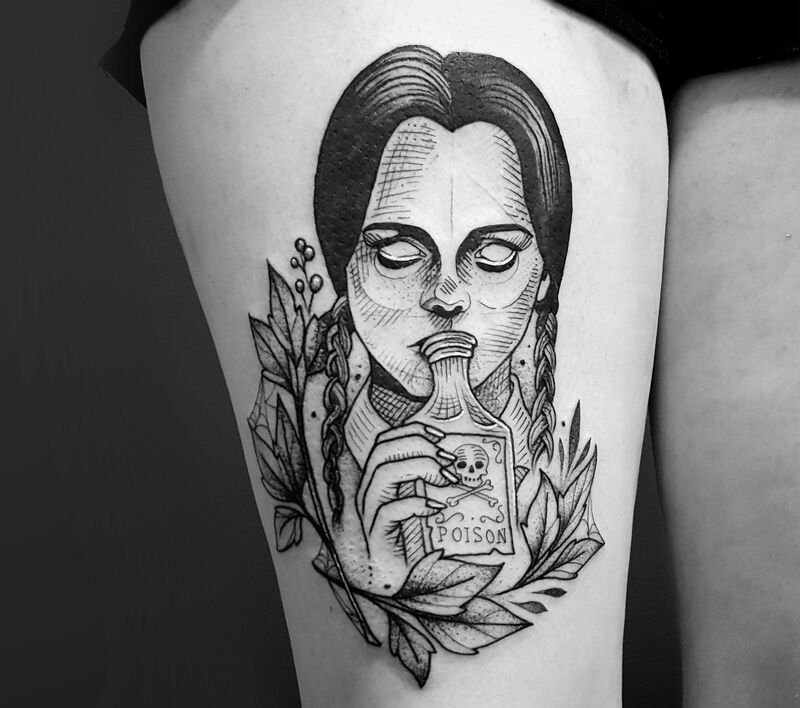 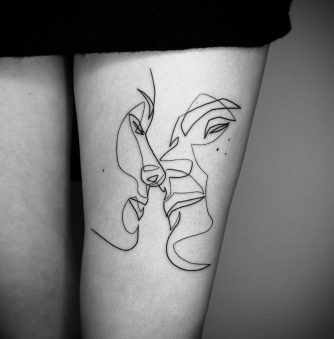 His love for black-and-white photography and the work of painting masters like Caravaggio have enormously reflected on his tattoo art. 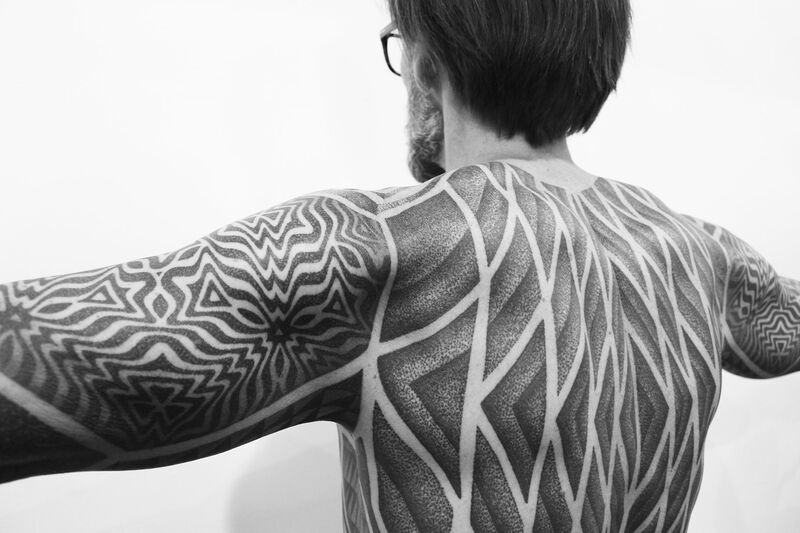 Most of what he does has been self-taught, and a lot of his designs are based on footage he shoots himself. 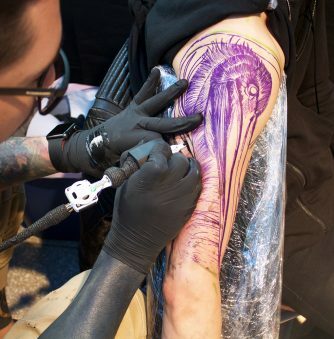 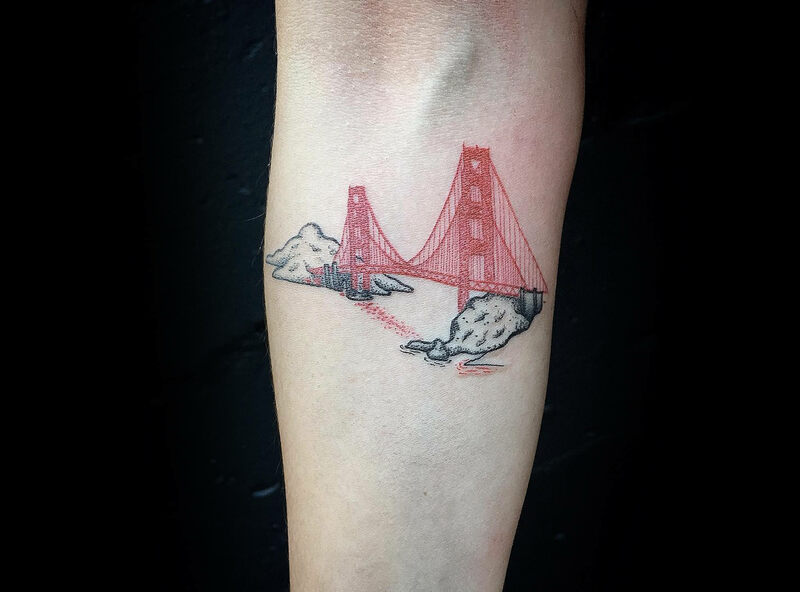 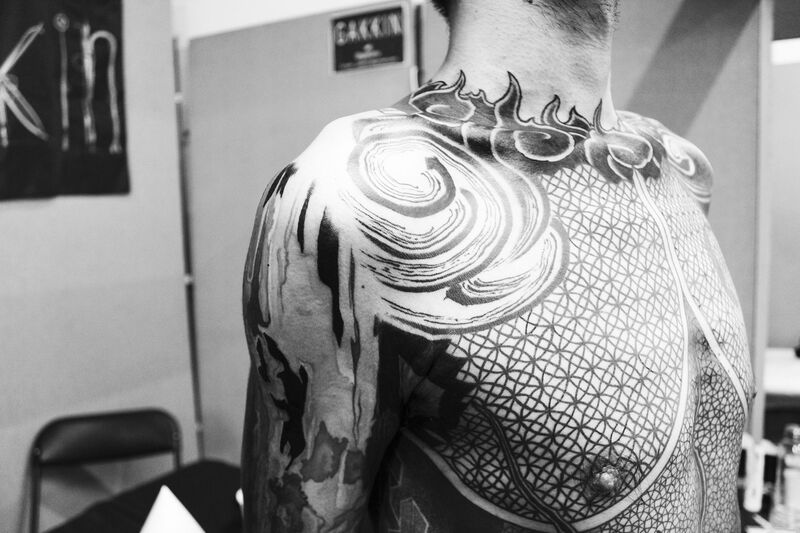 He goes the extra mile to create unique concepts—tattoos that are so full of depth, dimension and movement that they keep impressing convention crowds as well as online ones. 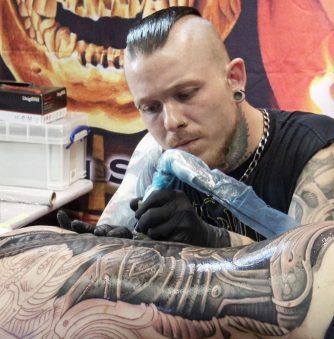 Despite his obvious career success of two decades, he doesn’t let it go to his head, he is a very grounded, and an amazing creative individual.